FUNcube-1 is a UK Amateur Radio Satellite for science education in schools and for use by radio amateurs as a relay station (transponder). Ithas a Materials Science Experiment (MSE) on board which, in essence, measures the temperature of materials with different surfaces (eg one white or silver, one black). As the satellite moves in and out of sunlight as it moves round the earth, the sensors will measure the temperatures of the two test surfaces. Being of different colours, the temperature changes will be different like the classic Leslie’s cube experiment, frequently carried out in schools. The data from the satellite is being sent to earth via our telemetry system, and the decoded data can be used by school classes to plot the change in temperature of the two different samples. Update Oct 2012. 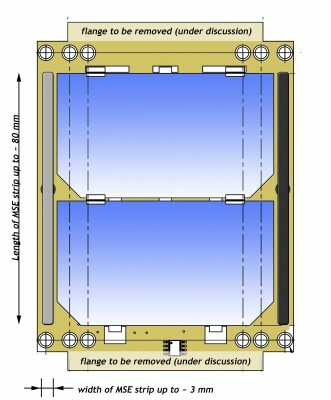 The picture below shows one of the metal strips which will be attached to the outside of the spacecraft. 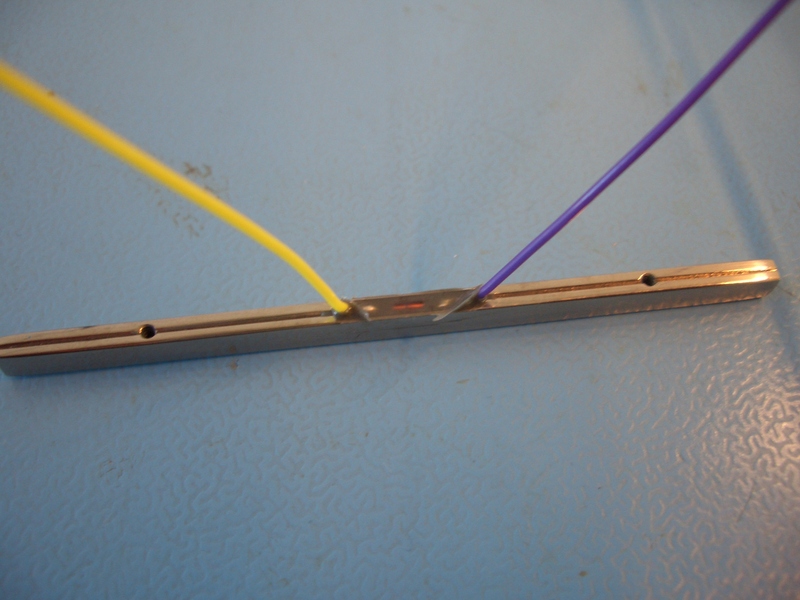 You can just see where the thermistor (for measuring temperature) is glued on the strip, and the wires which will be connected to the harness of the satellite, connecting them to the telemetry system. See the page about the Ground Station for details of the equipment required to receive this data.